Reliable – 24/7 access to up-to-date vaccine records at home, on the go, or at a show! REQUEST MORE INFORMATION HERE or call 888.502.3334 and let us know you are interested in the eVet/HVMS partnership. The HVMS support team will run a search on your local system to analyze how many potential horses you have that could utilize the eVet system and provide a summary back to you on the revenue opportunity for the practice. When you are ready to start, we will send you marketing messaging that you can add to your social media posts and emails that you can send as part of your practice marketing. If you do not currently have email lists for marketing to customers, we can work with your practice to generate the email campaigns. HVMS and eVet will track sign ups and report back to the practice. How much will it cost the Veterinary practice? No cost for the practice. How much will it cost the horse owner per horse? $50 per horse per year. How does the Veterinary practice get paid? For every horse signed into the eVet platform through the HVMS platform, the veterinary practice receives $10 per year. For example, 5,000 horses for subscribed clients on the eVet system represents $50,000 in annual revenue for the practice. How can the vet/practice nofity all of their clients of this NEW service? The eVet/HVMS team will provide you with marketing materials (Facebook posts/email blasts) that you can utilize for your own marketing, or, eVet/HVMS can do the eVet email marketing directly to your clients for you, extrapolating the client base from your current client base. Who are the target end user clients the practice should consider for signing up? Clients that participate in horse shows anywhere in the world or clients that wish to have their vaccination records accessible for passport FEI horses or for convenience and knowledge that their Horses vaccinations are up to date. The integration between eVet and HVMS is complete and ready to go! Electronic Vet is an easy to use, cloud-based platform for storage of equine medical records (e.g. Coggins, Brand Cards, and Health Certificates), as well as the online creation of an “eVet Certificate”, a show complaint vaccination record. 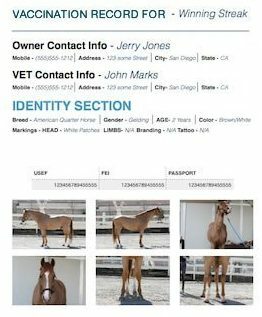 Using eVet is simple: Vet: create a profile and ensure the owners of the horses you care for have been connected properly. Owner/Trainer/Rider: Create an account, add horses and connect him/her with relevant Veterinarians, Owners, Trainers and Farms. This enables those connected people to access that horse’s information and upload appropriate documents or vaccination history necessary to create an eVet Certificate for competition, management, etc. 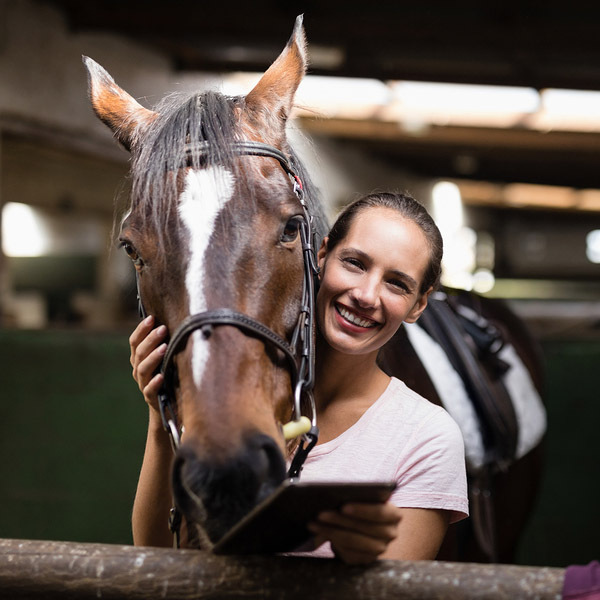 This paperless and simplified platform eliminates the need for binders and copies and improves communication between Owners, Trainer, Veterinarians and Barn Managers.